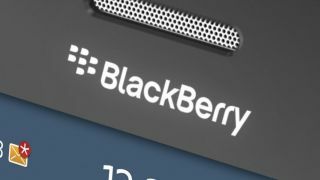 The upcoming BlackBerry 10 mobile computing platform will not be available on any BlackBerry 7 handsets, RIM CEO Thorsten Heins has confirmed. Appearing at BlackBerry World 2012, Heins spoke about the BB10 platform and how it will impact on current BB7 handset owners. In a frank and honest talk Heins made it clear that BB10 is a completely new operating system, built from scratch, and thus it's not possible to run it on handsets built for BB7. Heins said: "As tough as it is, we have to build a new platform for the next decade. BlackBerry 7 has reached its level of perfection, but the architecture and technology is unable to take us forward into the next decade." BB7 isn't going to be left high and dry, with Heins confirming: "We will keep a dedicated team of 200 for BB7 and continue to innovate in that space." So the short term future has been secured for current BlackBerry devices, but there will come a time in the future where BB7 will be completely phased out, to be replaced totally by BB10. If you're a PlayBook owner then you'll be pleased to hear that the tablet will get the upgrade to the BlackBerry 10 platform. TechRadar spoke to Andrew Bocking, SVP of Software Product Management, who confirmed "all PlayBooks will be upgradeable to BB10", which is expected to launch later this year. Heins has also confirmed that a 4G version of the PlayBook would be available later in the year, however Bocking noted that it would ship with the PlayBook OS 2.0, with an update to BB10 coming later.